Have you ever tried to define your style of writing? It's tough to delineate just what sets you apart from other authors or journalists, but the sooner you uncover your niche (or niches), the better it will be for both you and your bank account. In order to sell yourself to potential editors, you really need to have a good idea of what you'll be bringing to the proverbial table. 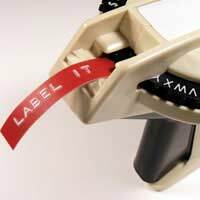 Without a "label" of sorts, you'll be just another writer looking for work. Of course, figuring out what to call your style can be difficult, but it's not impossible. You just have to look at some of the ways you write and what you tend to write about. From there, you can get a better handle on just what makes you unique. Answer the questions below to help as indicators of your preferred method of writing. What Types of Articles do you Like to Write the Most? Do articles related to human interest topics really set your heart aflame? Or are technical writing pieces (a.k.a., "just the facts") up your alley? Perhaps you enjoy writing about political or controversial topics. Or maybe you prefer creative writing in the form of stories or poetry. Finally, you might really get a kick out of putting together business pieces, such as sales letters and annual reviews. Each of these types of articles is perfectly legitimate, and you might find yourself liking more than one of them. However, it will behoove you to compartmentalize your style of writing, especially when sending clips (published or not) to a prospective editor or publisher. What Article Length Most Appeals to you? Some people want to keep their writing short and sweet; others really like to delve into all the facts and information they can. Thus, how many words you prefer to write can also set you apart as a writer. For instance, if you like working on human interest stories as well as articles of substantial lengths, you might want to apply for feature writing freelance positions. On the other hand, if your written works are synonymous with "succinct", you might be great at technical writing or even writing descriptions, web pages, or keyword articles, all of which tend to be shorter in length. If you like to write in a busy setting with a lot of noise, you could probably enjoy an office environment or newsroom. However, if you like the quieter pace of working in your home or under a shaded tree, you'd probably rather be a freelancer who can work at his or her own pace and in privacy. By figuring out ahead of time what atmosphere helps you create your most professional pieces, you'll know what jobs not to apply for. Additionally, you'll be closer to figuring out your ideal writing style. Do you Write for Yourself or Others? Of course, every author writes for him- or herself, but if you don't want anyone else looking at your writing anytime in the near future, you probably don't have the confidence to "go public" and accept any assignments unless they are ghostwriting opportunities. These mean that your name will not be published, but your works will, which is perfect for the writer who isn't quite willing to sign his or her name to a piece, but would love the extra income. It's unfortunate that more proficient authors don't consider ghostwriting options. Too often, writers who aren't ready to accept the criticisms they will face when they publish under their own names are pushed into exposing their innermost thoughts. Often, they are enticed into the profession by well-meaning friends. But if a nasty review comes out of the experience, it can turn the able writer off from publishing for a long time. In contrast, if you relish having others see your writing, the world is your oyster… as long as you keep your audience's needs and wants in mind. So… What is Your Style? Your style will be an amalgamation of the above preferences plus many other facts. You may even want to give it a specific, unique moniker - "Eclectic author of Christian fiction seeks freelance opportunities to write nature-related poetry." And though so many authors detest having to "label" themselves or their writing styles, it can definitely give a boost to you because editors will immediately know what you've done and how you see yourself.